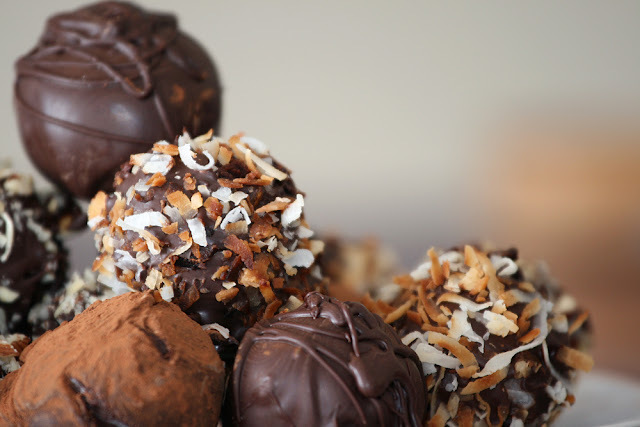 Hello And Welcome To Millionvisitars, If you are thinking of making something yummy then cashew cacao balls are very delicious. These are very easy to make and less time consuming. So let’s see how to make cashew balls, for that we need some ingredients as follows. Firstly grind cashew nuts and roast it. Now in another pot add milk and sugar and bring to boil then add 1 glass water and condensed milk, after that add roast cashew mixture (powder). Cook it on medium flame, off the flame when it cooks well. Place it in the tin pot below that you can use butter paper and spread it. When the mixture gets the little cool place it in a fridge, when the mixture gets cool to start making balls. Give round shape with your hands, then roll in grated coconut do same with all balls. Now it’s time to melt chocolate, melt it and carefully and apply on balls and then place in a fridge for 10-15 minutes. Now take them out and roll little part of the ball in grated coconut. on above place cashew nut and again place them in a refrigerator for 10-15 minutes. So here are our yummy chocolate balls are ready. Enjoy! What To Eat During Fast?